Technology being the bedrock of civilization led 69AGENCY the conveners of THE DIGITAL DISCOVERIES an NGO program that helps students and the general public to have a view and insights on the how Digital Marketing can give you the advantage you seek in both business and social World through seminars/conferencesto bring forth the birth of THE DIGITAL DISCOVERIES in partnership with Emolamidayo Consult.The Digital discoveries conference maiden edition took place at the prestigious Ajayi Crowther University, located at Oyo Town, Oyo State on the 19th of May, 2018. The conference enlightened the audience on the relevance of some aspects in digital media such as Media Marketing, Online Brand Influencing, Digital Marketing, Email Marketing, Creatives and Graphics Design, and Cybersecurity. 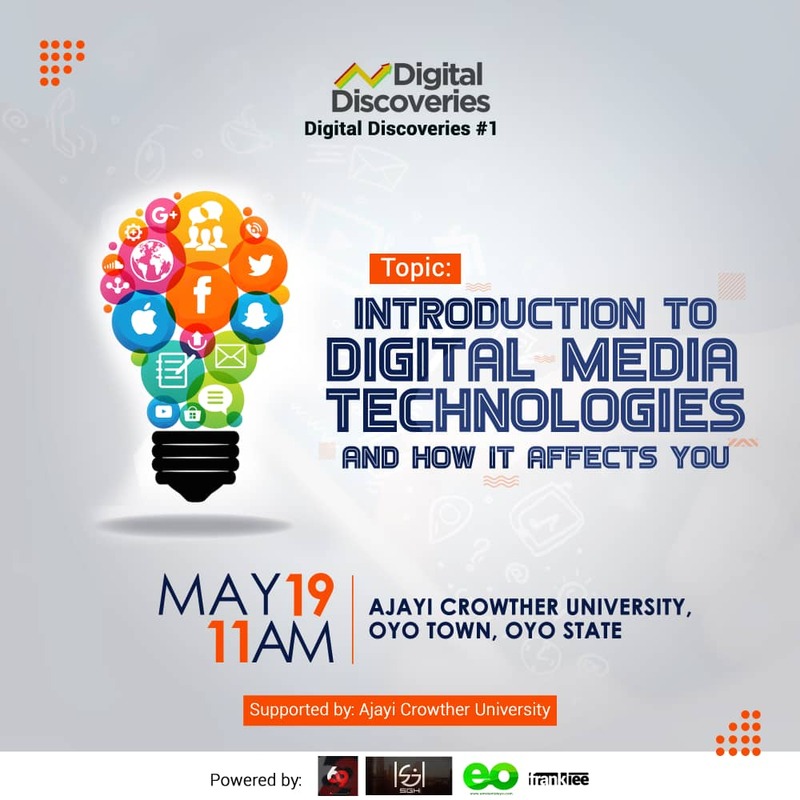 The theme of the maiden edition was Tagged “Digital Media Technologies And How It Affects You” With the support of the Department of the Entrepreneurship and Development Center, Ajayi Crowther University. The conference was anchored by Adeyemi David a student of the institution with opening speech from the Director of Entrepreneurship And Development Centre Prof, Oyeyemi Oshin followed by the First Guest Speaker Akinyemi Cynthia Anuoluwapo who gave a beautiful presentation on Blogging and Media Marketing. Adewale Israel Ojomo spoke in details on Digital and Email Marketing, its benefits and application. Gbemisola Ogunlade Olamide elaborated on Online Branding, Creatives and Graphics Design while Fowowe Ayoola spoke extensively on cybersecurity, Mr.Peter Oiku gave the Vote of Thanks and Closing Remarks appreciating the Organizers, Students and the Institute. Away from the maiden edition the conveners of The Digital discoveries 69AGENCY’s goal is to help empower undergraduates and attendees of this conference as a part of the national building and their self-development goal, which the next edition is set to be better than the first one.